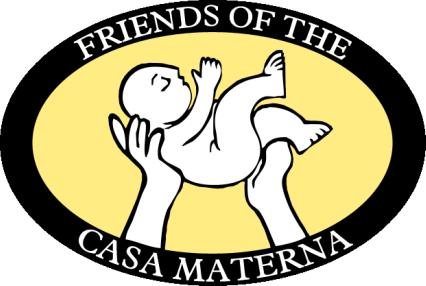 ﻿The purpose of the Casa Materna is to reduce the rising maternal and infant mortality rates. In this global "silent epidemic," a maternal death occurs every minute and a half every day. 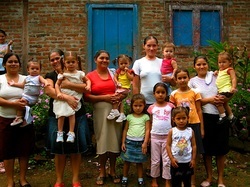 In Nicaragua alone, a maternal death occurs every 38 hours. The Casa Materna provides a short-term residence in the city of Matagalpa, offering food, shelter, education, transportation and support for high-risk pregnant women 1-2 weeks before and after childbirth. While the births take place at the Regional Hospital in Matagalpa, the services of the Casa Materna allow the expectant mothers to be close to this needed medical attention which would otherwise take hours or days to reach from their rural homes. While we cannot follow up with every woman who comes through the Casa Materna doors, our team works with 12 rural communities. Health educators from the staff meet twice a year with the women in each community providing educational sessions, leadership training, and formation/follow-up of mutual support groups. Our Midwife Outreach program works with over 400 parteras or midwives in the rural areas. Workshops for the midwives include continuing education on a variety of health related topics. ​After losing one child to diarrhea at age 12, Felipa recently gave birth to twins, her 8th and 9th children. Her first seven births had been at home attended by a midwife. After learning that she was pregnant with twins, making this birth of higher risk, Felipa traveled 8 hours from her rural community of Esperanza – Las Delicias (Hope of Delights) in the remote area of Bocana de Paiwas to reach the Casa Materna in Matagalpa city. The position of her babies determined that Felipa needed to birth by c-section. The medical attention of the Casa staff and the ability to have immediate access to the Regional Hospital made this a safe delivery for Felipa and her new babies, both under 5 pounds at birth. With encouragement from the Casa nurses, she took time to recuperate in the Casa Materna before making the long journey home accompanied by her husband.